Disclosure: I received a bag for review from Birdling. All opinions are my own. I love to travel. I do admit that it is a bit more rare now that I have two young kids and a Hubs who is traveling more frequently. However, I am excited to be heading to BlogHer in San Jose by myself - yes without Hubs or kids - for the first time! Since it's only for 3 days, I am going to take my new Birdling weekender bag! 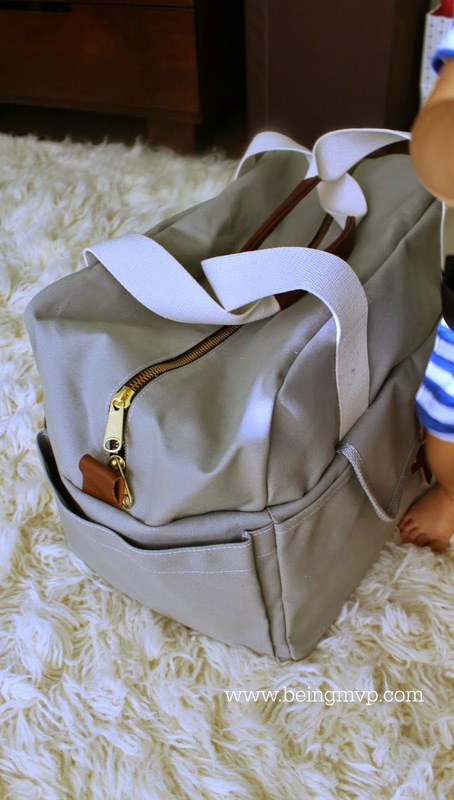 It is actually perfect for packing the kids stuff for a weekend away because of all the neat compartments and pockets to keep everything organized. Moreover, the soft structured canvas shape allows for major stuffing. 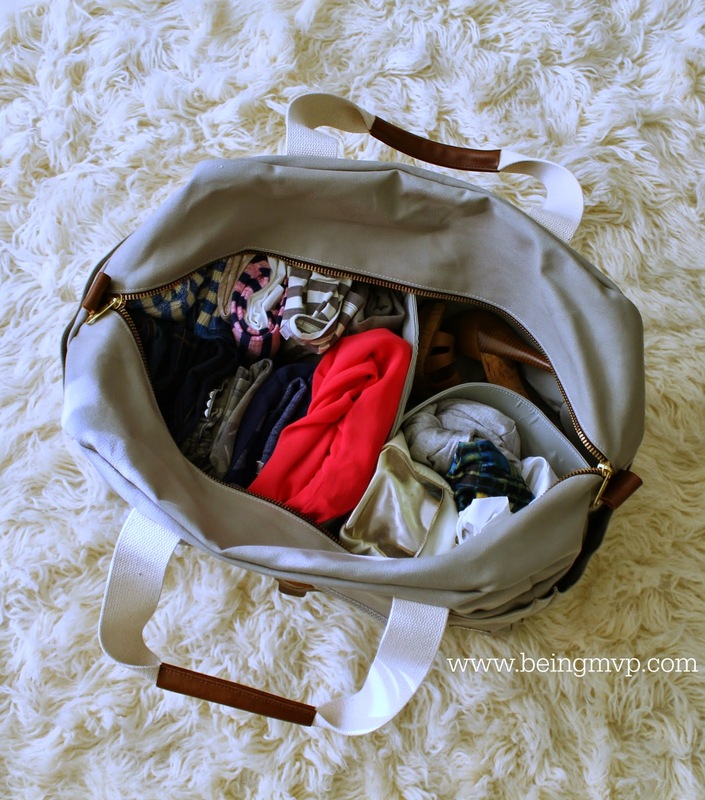 I also like to keep my things neat when packing and traveling and usually use bags or similar for organization in a traditional suitcase. I'm a visual person and do not really thing about measurements when shopping online so I was happily surprised at the massive size of this bag upon receipt (14”h x 20”w x 12”D). Kenzie kept asking if it was her new bag and I said that we could share it. The inside is nylon so easy to clean in case some spillage happens. This is crucial because you never know when one of your beauty and/or baby bottles will mysteriously open and leak. 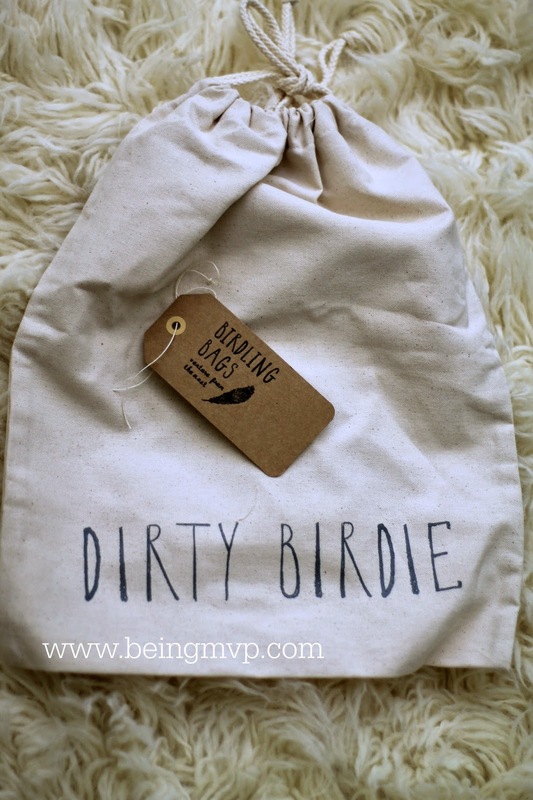 The Birdling Weekender Bag comes with a “Dirty Birdie” Laundry Bag which is neat. I usually take the hotel plastic laundry bag and stuff my dirty stuff inside but the Dirty Birdie is so much more chic. This weekender bag is available in 3 different colors: driftwood gray, navy and sun bleached salmon. You can also purchase additional Dirty Birdie bags for each member of the family. Yeah I packed my 5 inch heels... just in case, you know. Are any of my readers going to BlogHer? Are you traveling this summer? What would you pack in your Birdling Bag? I love this bag! Its nice and roomy so you have room to take all you need and the neutral color is great. 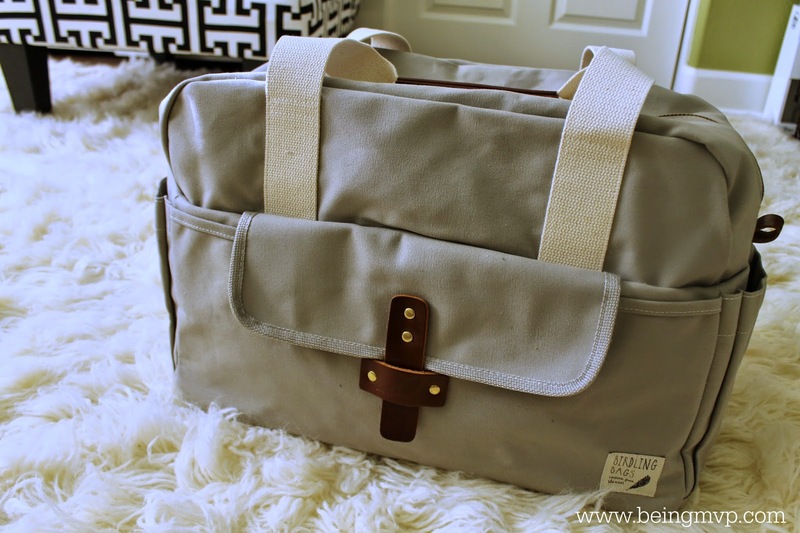 I think The Birdling Weekender Bag is wonderful. I do like it a lot and I think the Dirty Birdie” Laundry Bag is cute! Great bag with a lot of room! These are really nice bags. I don't travel but I would recommend them to those that do. That's a beautiful bag! I love the coral one- I think it would make a great diaper bag for me!! I am such a bag lady! That one looks awesome! They look great for travel. Seem to fit a lot.